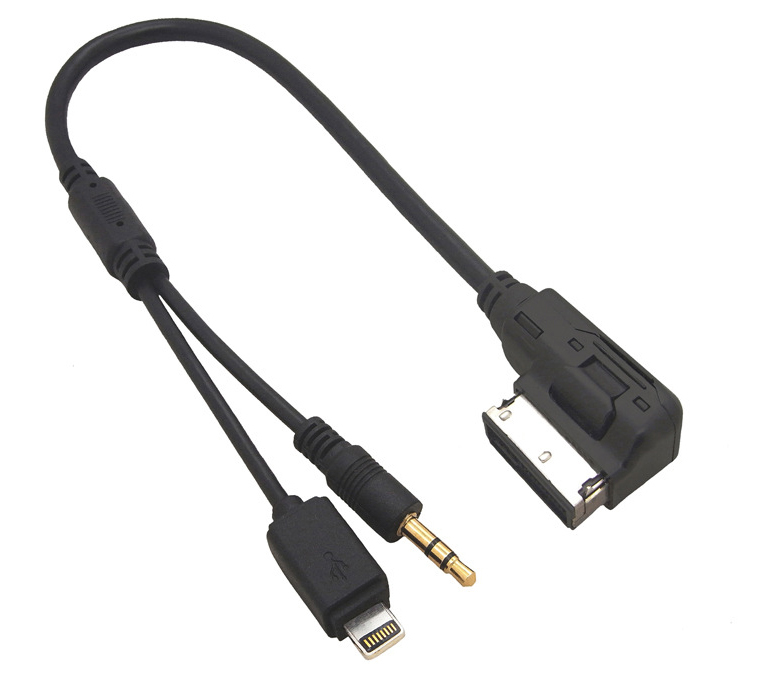 CB-AD01 allows you to listen your iPhone 5 5s 5c 6 &6 plus output plug through your Audi Ami systems. This cable only interfaces the audio all other controls must be made on the iPhone it's self. Besides it can charge iPhone 5 5s 5c 6 & 6 plus, while it is connected. This cable is ONLY fit for Audi vehicles(like A6L/A8L/Q7/A3/A4L/A5/A1/S5/Q5) equipped with AMI. Physically, AMI is located next to the CD Changer, or located underneath the center armrest.